Deciding to start a small business can be both exciting and stressful, and seeing your business succeed can be highly rewarding. The reality of starting a small business is, however, that forming and running a business is generally far from a simple task. Business owners must have a viable idea, the necessary supplies to bring that idea to fruition, and a client base to keep the business afloat. Furthermore, small business owners in California must always ensure that they are in full compliance with numerous federal and state laws and regulations. This can be particularly daunting as many entrepreneurs may be largely unacquainted with all of the applicable laws, and may not have the time or expertise to familiarize themselves with such regulations. If you are a small business owner, a California business attorney can advise you on all the essential steps you must take in order to comply with all necessary laws. As a small business owner, you will face many legal decisions and issues on an ongoing basis. If you make the wrong decision or fail to comply with a federal, state, or local law, you may find yourself facing expensive penalties, sanctions, or even watching your business get shut down. A quality small business attorney will be able to assist you with legal matters from the start to finish of your business tenure. 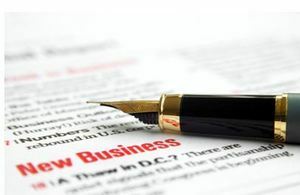 A lawyer will also stay familiar with any changes in relevant business laws and can advise you on any necessary actions in response to these changes. Contact Structure Law Group for help with your small business. Staying up to date on all laws relevant to small businesses can be time-consuming and leaving such matters to a business attorney allows you to focus on what is most important–day-to-day operations, growing your business, and achieving your goals. Whether you have a sole proprietorship, partnership, limited liability company (LLC), corporation, or other type of small business, the dedicated lawyers at the Structure Law Group in San Jose, California can help you. Please do not hesitate to call us today at (408) 441-7500 for assistance today.